Seeing conspiracy behind destruction of evidence, Shamshad expressed suspicion that the accused influenced both police and officials in the court. VIJAYAWADA: Hoping to find an end to their decade-long excruciating wait for justice to their daughter Ayesha Meera, who was brutally raped and murdered in her hostel room in December 2007, the parents of the B Pharmacy student Shamshad Begum and Syed Iqbal Basha, have decided to meet Chief Minister N Chandrababu Naidu and request him to entrust the case investigation to the Central Bureau of Investigation (CBI). “We have lost our hope and trust in the capability of the Special Investigation Team (SIT) to investigate the case speedily and transparently. At least, the TDP, which was in the opposition when the incident happened in 2007, should fulfil its promise of delivering justice by bringing the killers to book. 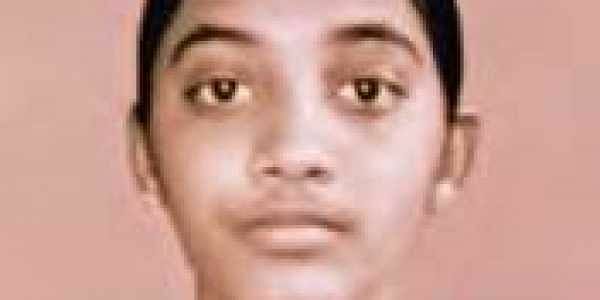 We will meet Naidu soon and put before him our request,” Ayesha’s mother Shamshad said. Disappointed with the approach of the SIT, constituted to probe the case afresh, she found fault with Vizag range DIG Ch Srikanth and his team for their wfailure to extract the truth from the seven suspects. “It’s been more than 10 months since the SIT has been constituted, but they have not made an inch of progress in the case. Everyone (SIT) is wasting time and coming up with lame excuses,” she rued. Extending their solidarity with the Ayesha’s parents, lawyers, human rights activists, women’s organizations and Muslim minority organizations have decided to accompany them to meet the CM. “A few highly influential people are trying to save the killers and erased the evidence as per their plan. By closing all the doors, they (killers) are trying to walk out free from the case. Without evidence, how can they get justice?” lawyer Pichuka Srinivas sought to know.